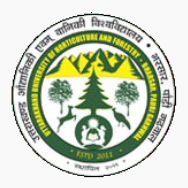 UUHF Jobs Recruitment Notification 2019.Uttarakhand University of Horticulture and Forestry inviting applications for the positions of Teaching (Professor, Assistant Professor and Associate Professor).Interested and Eligible candidates can apply for the positions. Total number of vacancies is to be filled in UUHF is 74 posts. Candidates who have completed Master’s Degree/ M.Sc./ Ph.D they are eligible for the posts of Professor, Assistant Professor and Associate Professor. Selected candidates will get earn monthly salary based on departments. For Additional Director, Joint Director & Professor pay band is Rs. 37,400/- to Rs. 67,700/- with grade pay of Rsa. 10,000. Candidates are to be recruited through written test and interview. Through offline mode candidates can fill the forms to the posts Professor, Assistant Professor, Associate Professor, Additional Director and Joint Director in UUHF Recruitment 2019 Notification from 18th January 2019 to 18th February 2019.
http://www.uuhf.ac.in/ is the link to download, apply and submit the application form for candidates is directly. Registrar, VCSG Uttarakhand University of Horticulture and Forestry, Bharsar, Pauri Garhwal ( Uttarakhand) – 246123.